I’ve been writing a monthly article for the PleinAir Today Newsletter for the last several months. 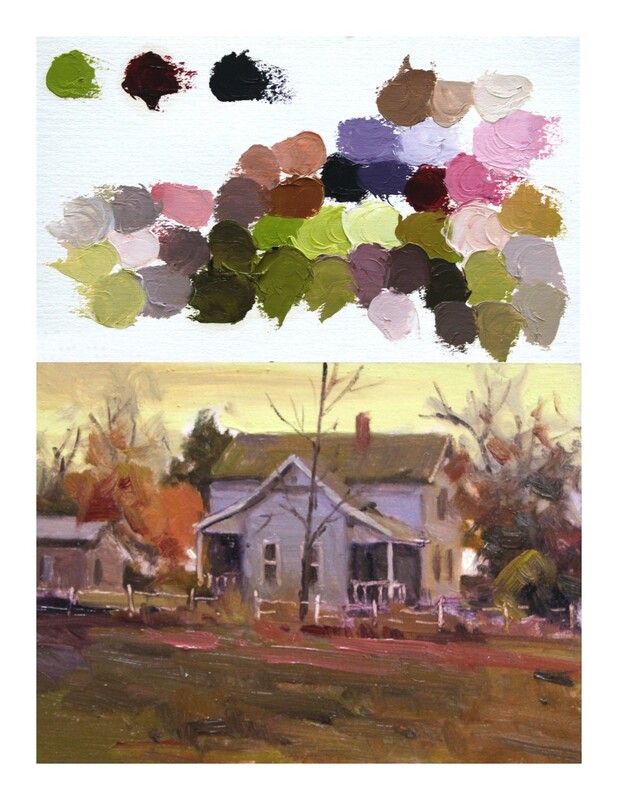 The current article is titled Color Mixing for Beginners. I’m not particularly happy with the title because I’ve worked with many students that have been painting for years and still do not understand the basics of color or of color mixing. I believe you’ll find this article very enlightening and useful. To read the article, please click HERE. This is an example of a color swatch and painting from my book, “Limited Palette, Unlimited Color”. The palette used for the swatch and painting is an Isosceles Triad, comprised of Yellow Green, Violet, and Red…created using Cadmium Yellow Pale, Ultramarine Blue, Alizarin Crimson, and Titanium White. This and much more is thoroughly explained in the book. ***If you would like to receive this weekly blog automatically, please complete the simple form to the right of this page. 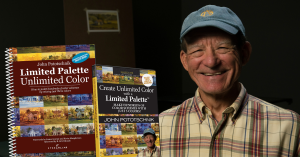 John Pototschnik is an Art Renewal Center Living Master. To view his art and bio, please click HERE.